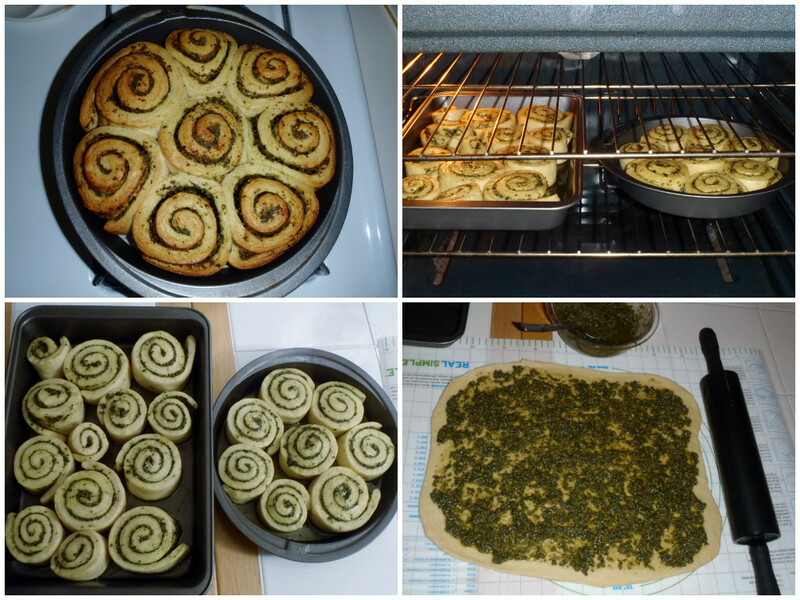 This past weekend, I decided to go with a savory baking adventure instead of the usual something sweet. I was inspired after devotedly watching Bread Week on “The American Baking Competition“. I told you all I was going to make my first attempt at free-form bread this weekend, and I wasn’t about to let you down. (I’m only three posts in, after all – a little early to be making false promises, don’t ya think?) 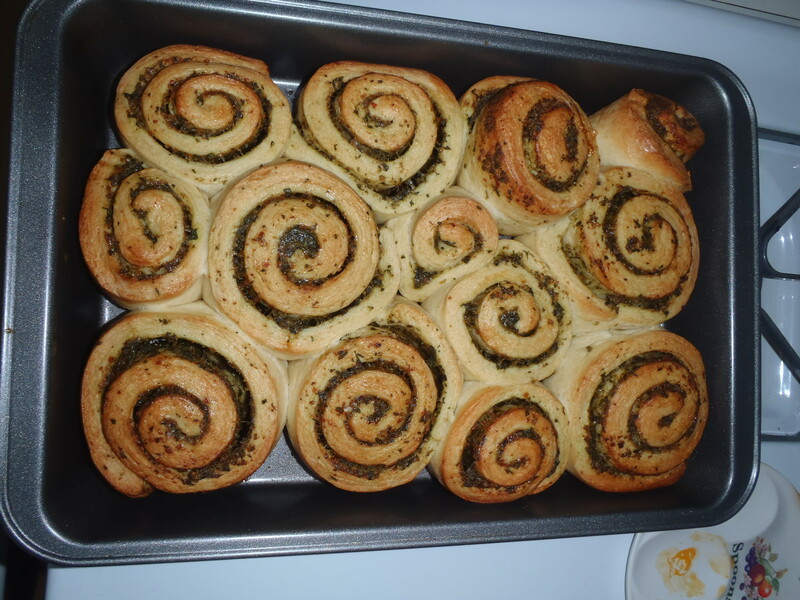 Pesto Swirl Bread Rolls were the challenge, and I brought my A-game to the kitchen to tackle it. 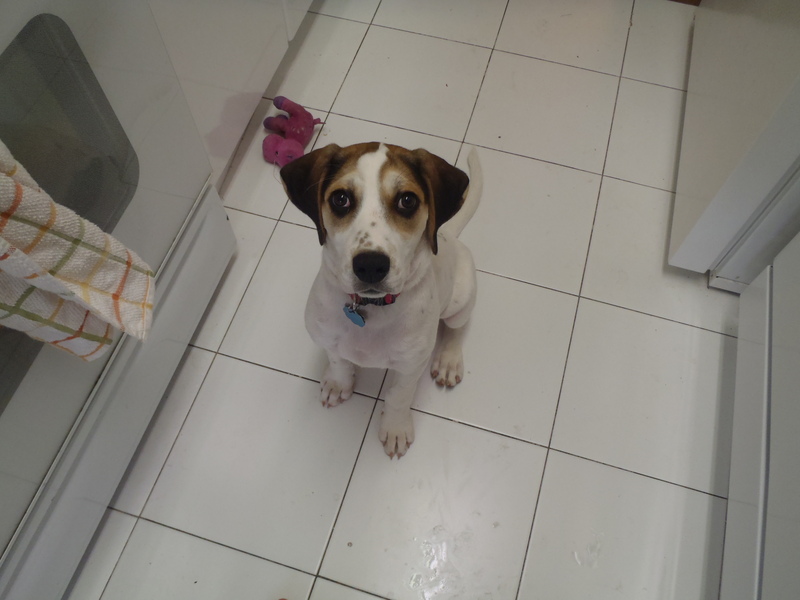 Daisy does not appreciate me baking and not playing with her constantly. 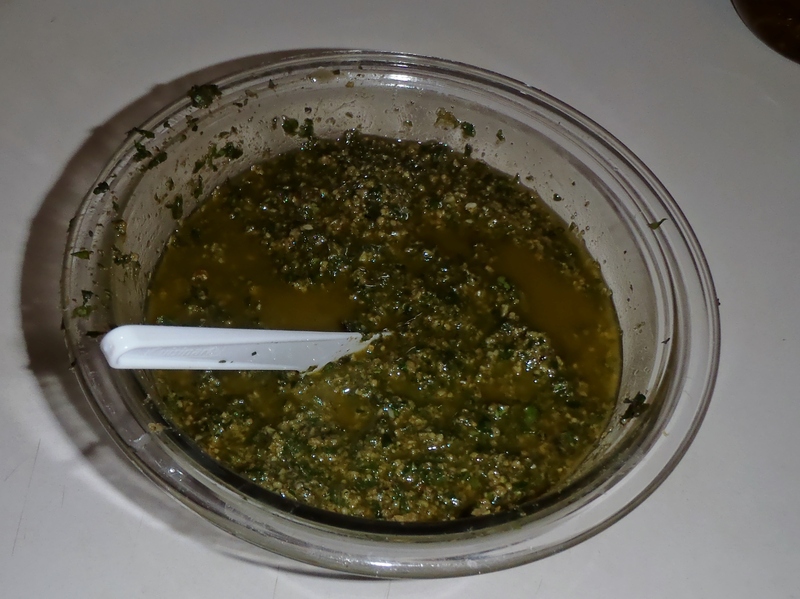 Pesto is exceptionally easy to make, given that you have a good food processor (which I do not), and one that is big enough to hold all your ingredients (which mine is not). I made it work – it just took a lot more stopping, opening, stirring, emptying, filling next batch, etc., than I would have ideally liked. Bread dough is very fun to play with and elastic! And I enjoyed watching it rise to double its size immensely! Sacrificing sweet for savory is so NOT a sacrifice at all. These are divine. Mama, you s’posed to play with me! No time fo’ baking! Ok, let’s get down to making these puppies. First, assemble your ingredients. The recipe says to use instant yeast, which I am still not entirely sure if that’s what I used, but it worked. I bought Red Star quick-rise yeast (it says instant dry yeast on one corner of the jar). It got the job done. Once you have your ingredients, dissolve the yeast in the milk and stir, stir, stir until it dissolves. Let it sit while you mix all your other ingredients. 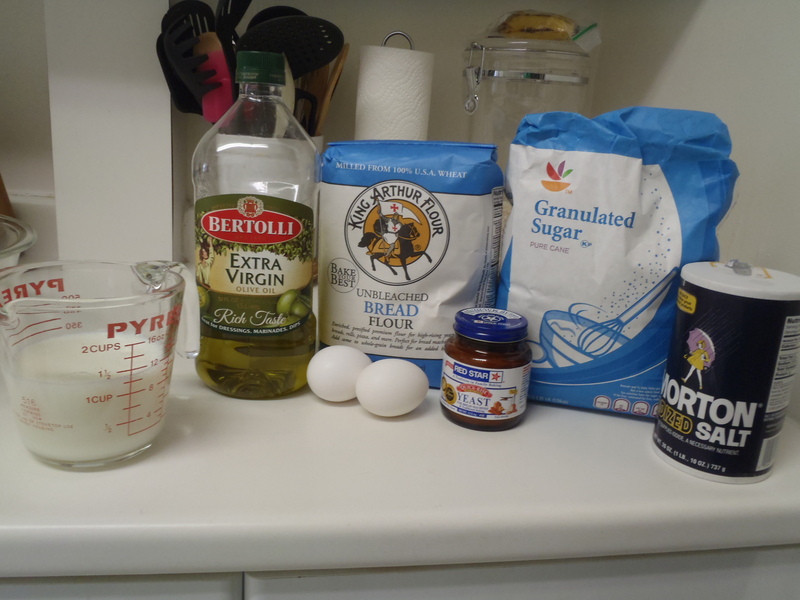 I strongly suggest mixing first all your dry ingredients, then adding wet ingredients and mixing well as to get an even distribution of egg, oil, and milk throughout the dough. I am not sure if I accidentally measured 1 and 1/4 cups milk instead of 1 and 3/4 cups milk, but I needed more than I initially added. My dough was just way too dry and I had not choice. I added about a 1/4 cup more than I put in originally, and it worked nicely. My advice is just get it right the first time and add the right amount of milk. 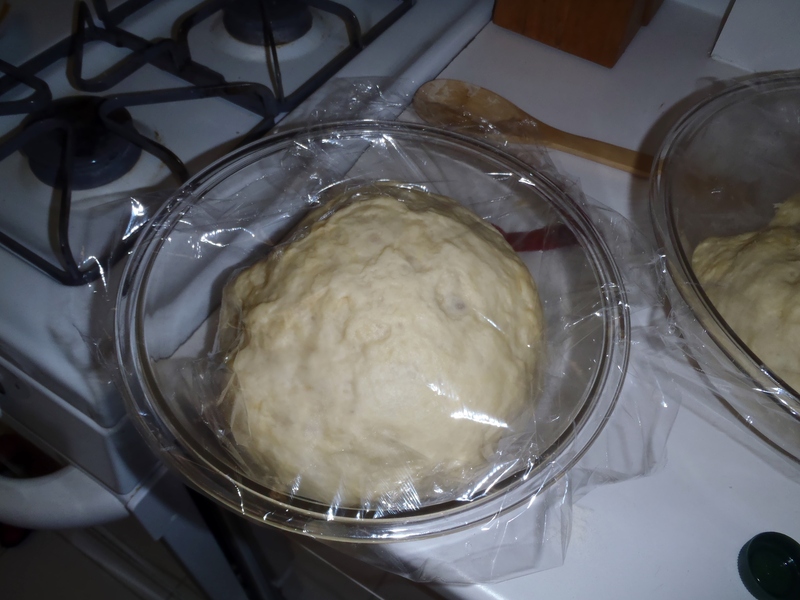 Once I got it doughy, I broke it up into two balls to make it easier to knead. Your call on that one. Next, knead away until your dough looks like dough and is nice and squishy. Then, let it sit at room temperature and rise for 1.5 to 2 hours. 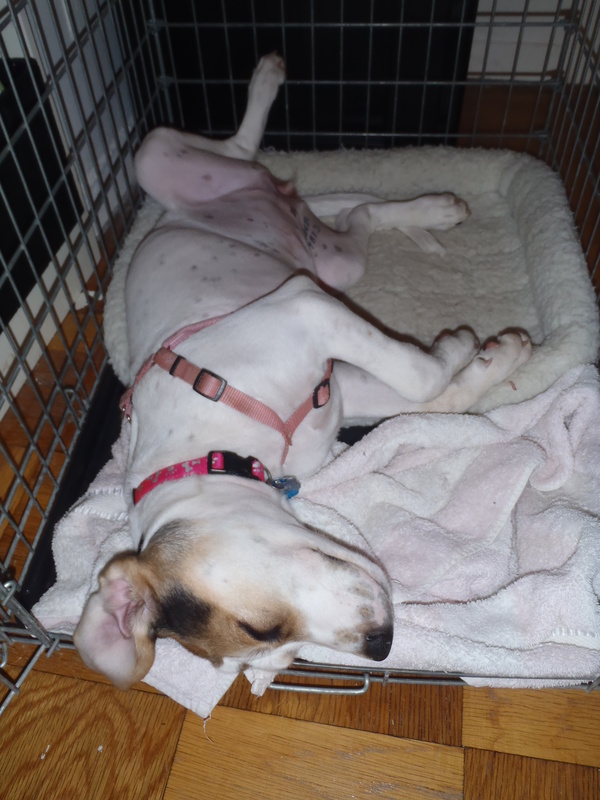 And, if you want, you can take a nap, like Daisy did…Or take a dip in the pool, like I did. My only comment is add the oil in last and use sparingly – I only used about 3/4 cup. 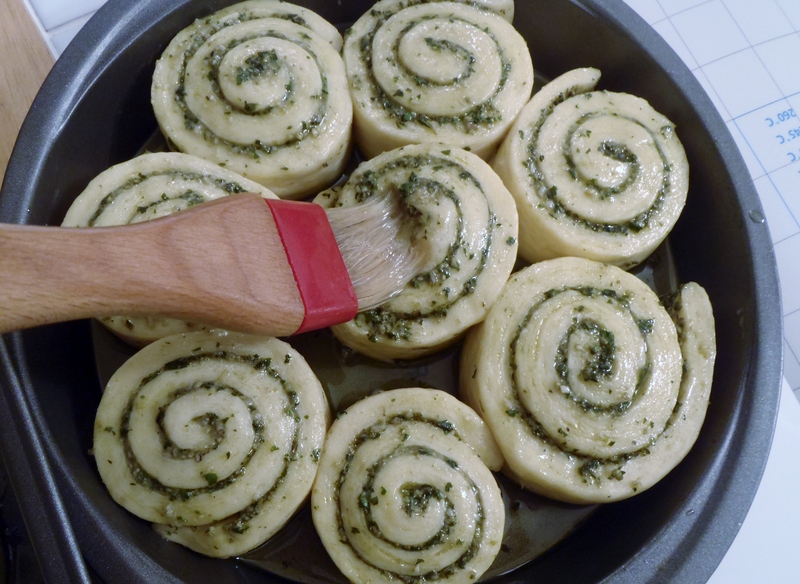 A lot of the oil oozes out of your rolled dough anyway, so maybe less is more, and then just add more oil to your leftover pesto afterwards if you like. 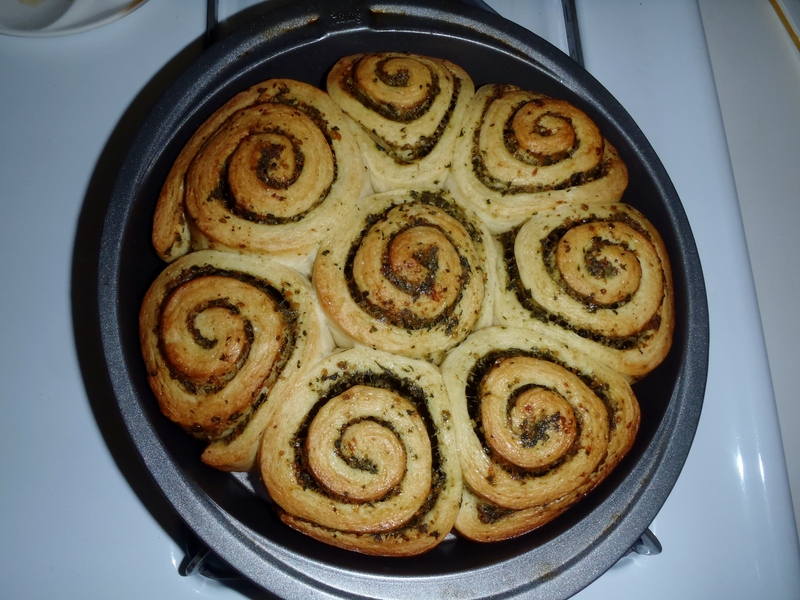 I suggest rolling the dough up its length (bottom to top of picture above), so you will have more, less fat rolls, as opposed to less, very fat rolls. You could even make it wider and skinnier than I did, which would give you even more rolls that are still plenty big. I then cut mine about an inch thick each. Remember – the dough will be growing even more for another hour after this, and then even more when you bake it! Make sure you leave enough space in the pan for this expansion. Let the dough sit for another hour to rise even more. Lastly, a few minutes before putting them in the oven, brush the tops with the eggwash to help them get nice and golden brown. 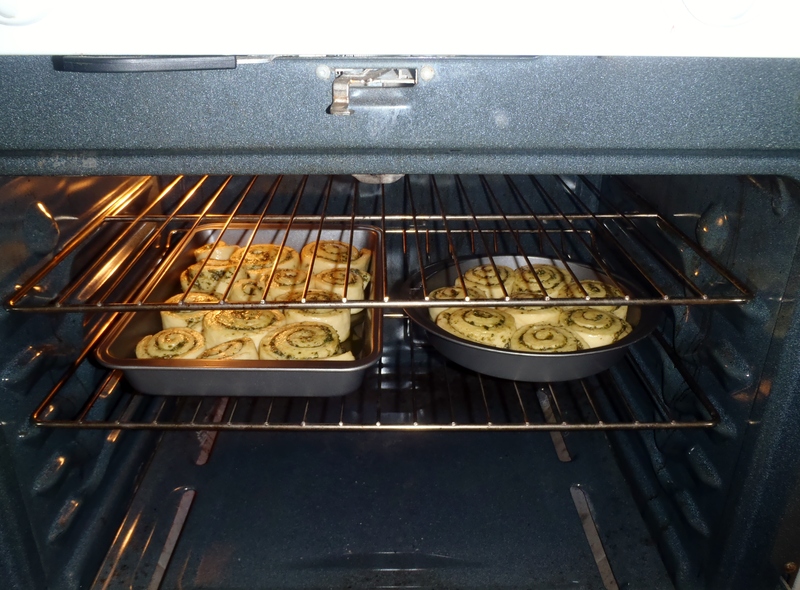 All that’s left now is to put them in the oven and pray…which I did…And it worked. Like I said, these were delicious. Go make them. Now. To make the dough, dissolve the yeast into the milk and let it rest for 5 minutes. In a bowl, add all the dry ingredients, then mix in wet ingredients together as you pour in the milk. Once the ingredients are evenly distributed, start kneading for 4-5 minutes until the dough is soft and supple. If you’re kneading using a KitchenAid (lucky you), knead by hand after you’ve turned the dough out for 2 minutes. Divide into two, make into balls and place it into two bowls greased with oil and covered with cling film. 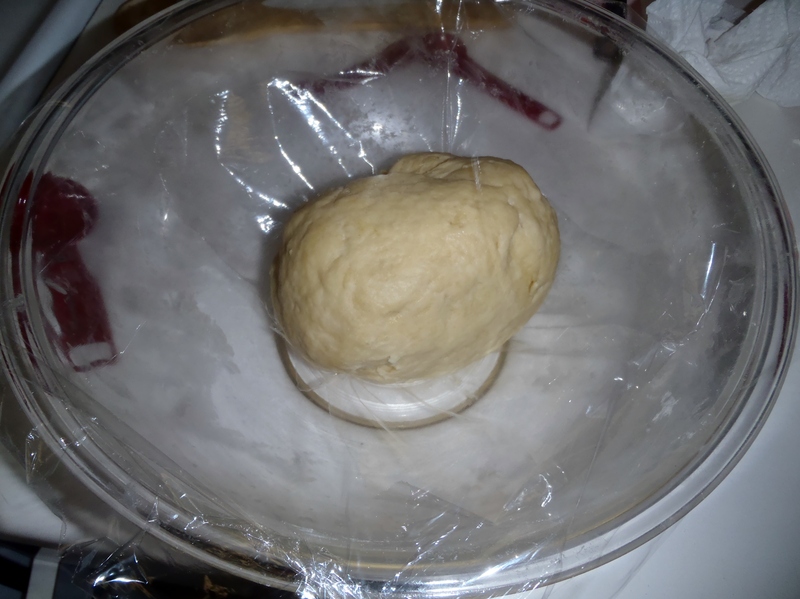 (I just put cling wrap loosely under the dough in the bowl and covered the bowl with wrap). You can refrigerate one bowl for later use and let the other batch rise at room temperature for about 2 hours or until doubled in volume. (I made it all at once, and rolled each ball out separately). 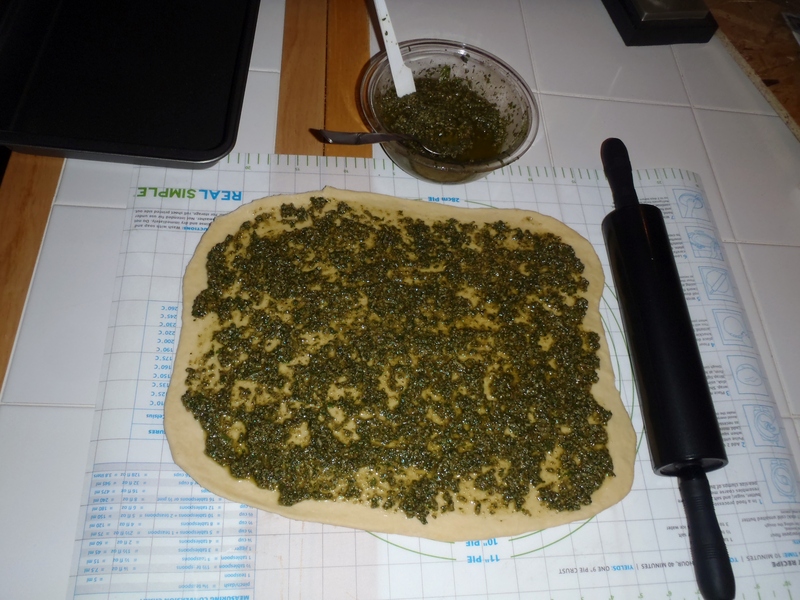 Now roll out the dough into a 1/4th inch thick sheet and spread generously with pesto, making sure to stay away from the sides. 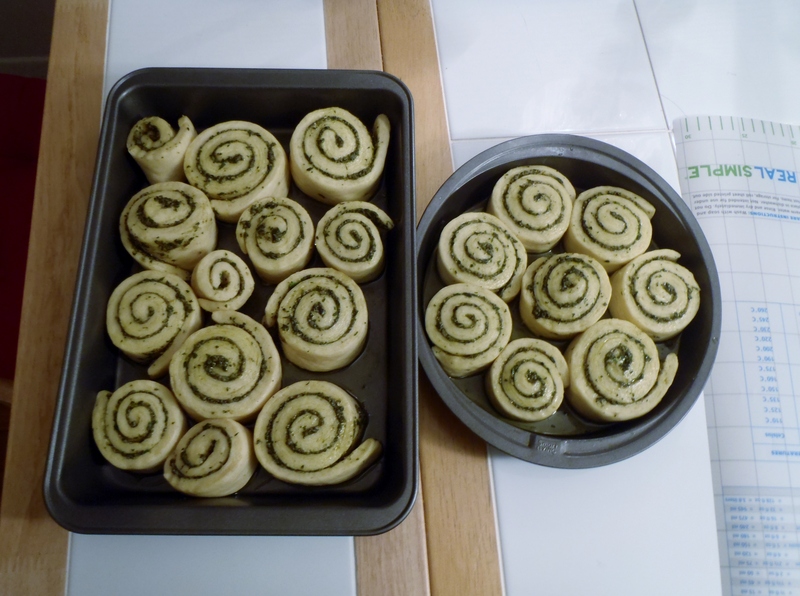 Form a roll and cut with a sharp knife or a bench scraper about 1 inch thick and place the individual rolls into the baking tin. Make sure to leave some space between rolls, because they’re going to spread! Cover with a cloth or cling film so the bread doesn’t form a dry skin. Let the bread rise again for about an hour. Shortly before baking, brush the top of the bread with eggwash (1 egg + 2 tbsp water or milk) to get a golden hue. Bake in a preheated oven at 180C/350F for 15-20 minutes. In a food processor, grind the walnut, pinenuts and garlic to a paste. Add the salt. Add the basil leaves and maybe a tiny little bit of oil or water for it to come together. Now through the feed tube, pour in the oils until evenly blended. Transfer to a jar and serve and use as you like!